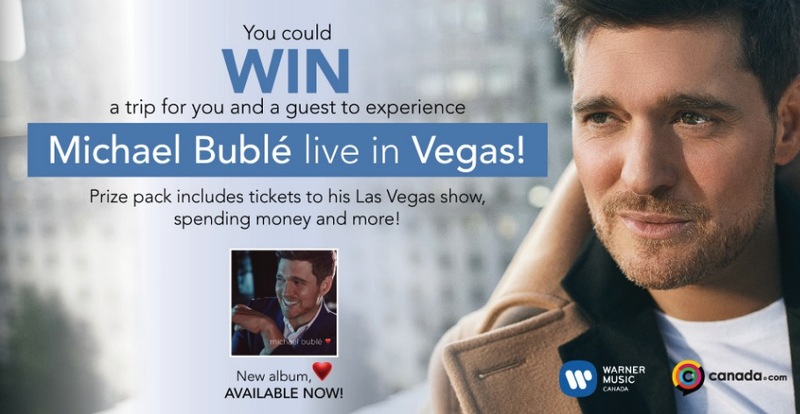 Enter this contest if you want a chance to Win a trip for two to see Michael Buble live in Las Vegas. To enter you have to visit the official competition web page and complete the online entry form with all the required information including name, last name, age, email address, phone, address, postal code, city and province. The contest closes at 10:00 am ET on March 8, 2019. -1 vinyl copy of Michael Buble "Love"
This contest begins at 10:00 a.m. ET on February 6, 2019 and ends at 10:00 a.m. ET on March 8, 2019. The draw will take place on March 8, 2019. Winner will be notified by phone or email.